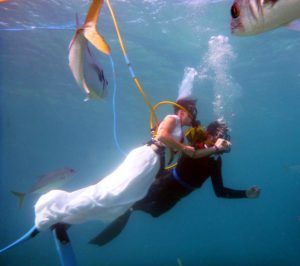 Seeking to enhance its adventure wedding experiences, Coral World Ocean Park has launched its new “Take the Plunge” dive wedding and vow renewal adventures aimed at couples wanting to combine their love for each other with their love of the ocean. 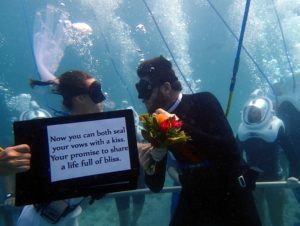 The new packages give experienced and novice divers the opportunity to exchange their vows underwater. 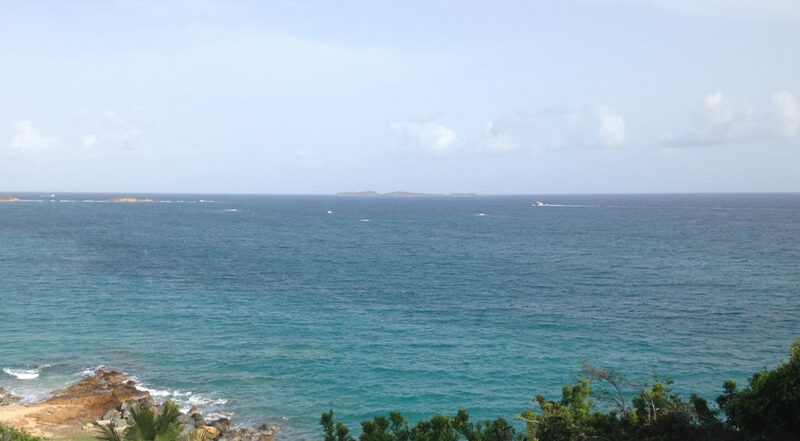 No certification required and our professional dive team will make it easy, comfortable, and safe for everyone. The ceremonies take place 20 feet below the surface, along Coral World’s underwater trail surrounded by beautiful tropical fish. 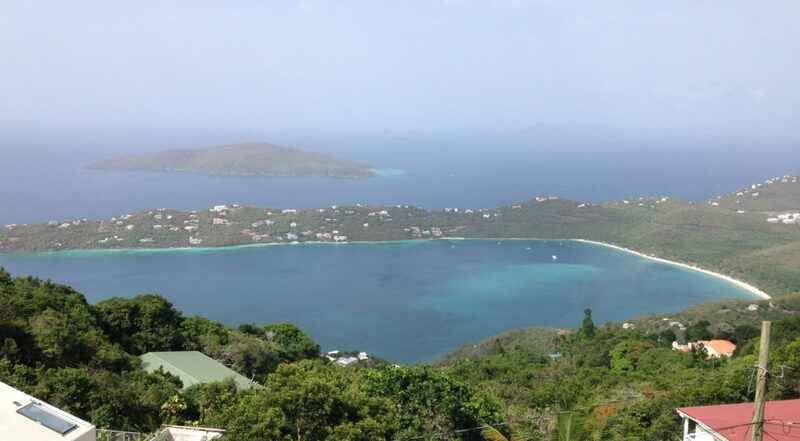 The Snuba “Take the Plunge” wedding is available for small groups (up to 4 participants) and a combination of the Snuba and Sea Trek packages to accommodate larger groups (up to 14 participants). Snuba is a cross between Scuba diving and snorkeling – all cumbersome equipment stays at the surface. Sea Trek is a modern version of Bell Helmet diving – allowing you to “moonwalk” along the ocean floor. “Destination Weddings are continuously evolving as couples choose more and more creative ways to celebrate their love of life and each other. We are thrilled to combine our destination wedding and underwater expertise into fun, memorable and unique events. 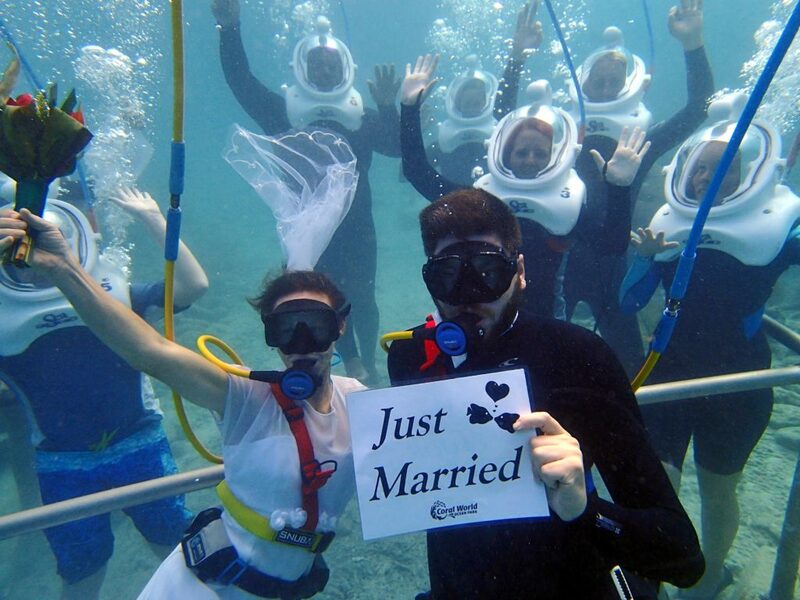 Marriage is an adventure – where will it take you?” commented Valerie Peters, Director of Marketing at Coral World Ocean Park. Packages can be modified for creative wedding proposals as well. On land, beautiful photo opportunities abound throughout the park from a tropical nature trail and waterfall to a colorful bird aviary and exotic marine displays. Make your day even more spectacular by adding an animal experience such as a Sea Lion Swim or Turtle Encounter – and let the honeymoon begin!